Are you searching for travel and tourism business ideas? Do you want to start a small business in the travel and tourism industry with small capital investment? Read this post to get 30 hospitality and tourism business ideas that can be initiated as a small business. Hospitality and tourism are vast areas of providing different types of services. It includes broadly restaurants, restaurant chains, food services, hotels, transportation, photography, business and leisure travel, holiday destinations and activities, camping, and the cruise industry. The travel & tourism sector has developed into an industry with an annual economic impact of around 6.5 trillion U.S. dollars worldwide. The industry is growing. Putting investment in hospitality and tourism industry is worth it. Here we have compiled 30 most profitable and lucrative hospitality and tourism business ideas for your ready reference. Initiating an adventure club is an ideal business idea for adventure loving people. The demand for adventure trips, activities and adventure sports in general, is growing globally. Prior market research is mandatory to identify the potential niche for your business. Adventure tourism business is perfect for those aspiring entrepreneurs who own outdoor tourism hobby with themselves and want to turn this into a profit-making venture. As per geographic, there is a huge potential for adventure tourism business globally. Adventure tourism generally takes place in strange, exotic locations where thrill-seeking travelers always expect unexpected happenings. Airport shuttle service is a very profitable business. The business is hugely management intensive. You can establish business tie-ups with hotel resorts, tour operators, and travel agencies to get clients. This is one of the trending business. Apart from children, you will also get teenage and adult users for this service. Customers can spend minutes or hours gaming at the arcade on their waiting time. According to the target demographic, the right selection of games is important. People who travel with allergy issues, often look for allergy cards in the new location where they arrive. You can initiate a business of providing allergy cards in many languages from home too. Ayurveda is a therapy that promises holistic wellness. The natural herbs and oils used in the therapy are of great medicinal value as is said in the Vedic literature on Ayurveda. There is a strong potential for the growth of Ayurveda tourism globally. Ayurveda tourism is one of the most trending small business ideas to start with moderate capital investment. Attitude and the personality of the owner play an important role in bed and breakfast business. Also, the location is important where you are initiating the business. 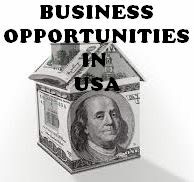 Having spare rooms, this business can be a very good alternative part-time income source. The boutique hotel is considered one of the most profitable hospitality and tourism business ideas. having adequate knowledge and experience is a must. It is extremely important to do a lot of research and develop a detailed business plan to ensure success. If you are living nearby water bodies, initiating a canoe and kayak rentals is a wonderful business. In selecting the location, you must take into consideration the ease of access, visibility, parking, and host of other factors. Personal or community tour guide business in trending now. If you are living in an area having a lot of tourist’s footprint, you might consider starting this business. You can operate the business from home. Other than local classified advertising, you can also get clients from other businesses operating in the travel and hospitality industry. Everyone enjoy the ride on a double-decker bus. You can arrange sight-seeing tours on a double-decker bus. You must start the business in a busy tourist area. Crafting a proper marketing and sales promotion plan is mandatory to start this business. You can start a houseboat rental business in two ways. One option you can buy a houseboat and start renting. Another option is you can contact with the houseboat owners and tie up with them for a business relationship. In this case, you will need to go for revenue sharing basis. Do you enjoy kayaking? You can turn your hobby into a part-time profit-making business. Coastal areas are the best location for this type of business. You can offer a kayak tour with some allied services, Such as beginners training, lunch, etc. Off0road tours are very popular among young and adventure loving people. Organizing the off-roads tour is a very profitable business, people the location is full of tourist footprints. Generally, off-road tours are offered in half-day or all-day packages to clients. Ticketing and reservation service providing is a small area of operation from a full-fledged tour guide business. The required investment amount is very less. Railway ticket, domestic and international air ticket booking is some of the areas where you can focus. Many big companies keep trade show visitors to know the current trend and happenings inside the industry. In this business, your primary responsibility is to collect information for clients about their competition exhibiting at the show. Are you a passionate traveler? Then you must consider starting a travel blog of your own. You can share the amazing experience of traveling the beautiful places around the globe. Check this article on how to start a blog and make money to learn more. If you are living in a high-traffic tourist area, you can consider starting a vacation property rental service business. Your home and the customer service that accompanies it must provide the things your renters want and need in order for you to reach the highest level of profitability through renting. If you have good boating skill and live nearby water bodies, you can start a water taxi service business of your own. This is one of the most popular tourism business ideas to start with moderate capital investment.